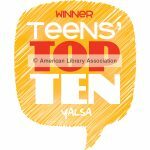 Over 32,000 teen readers cast their vote for the 2013 Teens’ Top Ten, and The Hub is celebrating their choices! Today we feature Kresley Cole, whose book Poison Princess is #5 on this year’s Teen’s Top Ten list. Poison Princess is a delectable post-apocalyptic romance story that follows Evie, a sweet, well-to-do southern girl from Louisiana, whosuffers from horrible hallucinations of death and destruction. Evie soon realizes her hallucinations are anything but that; they are visions of the future. The apocalyptic event that destroys the world around her has started a war, an ancient prophecy Evie’s grandmother once told her about. Twenty-two teens, the Major Arcana, must now battle each other in the ultimate war of good and evil. Now Evie’s on the run to the one person who may have some answers for her, but she is not aloneâ€¦ Jack Deveaux, an antagonistic classmate from the other side of the bayou, promised he would protect her on this journey. Now they are bound together in a fight to stay alive and find the truth. 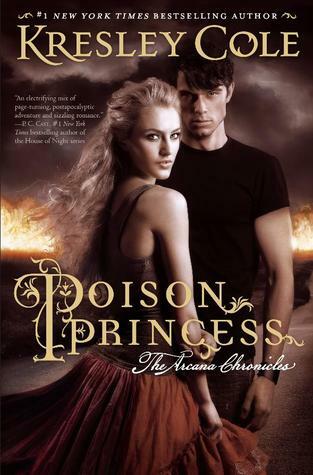 Check Simon & Schuster’s website for a video in which Kresley Cole reveals the inspiration for Poison Princess, and read on for my interview with this charismatic author. When I’m on deadline, I wake up before sunrise (though I’m not a morning person!). Once I’m at the desk, I turn on fast bpm music, caffeinate myself liberally, then write for several hours. If I’m flagging by late afternoon, I make myself go exercise (blech). After that, I have the dreaded second shift at the desk, one that runs well into the night. I call it the time-to-make-the-donuts shift (i.e., http://bit.ly/1exSqWq). 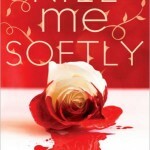 I love the cover art on all of your books. Are you involved in the creative process for the art? If so, what is that process like? Thank youâ€”I love them too! While I wish I could take credit for these incredible covers, all kudos go to the very talented people at Simon & Schuster. I can’t wait to unveil the cover for the third book in the series! If you had to pick a theme song for Poison Princess, what would it be and why? I first heard about the song â€œRun Awayâ€ by Sarah Jarosz when a friend saw her play at the House of Blues in New Orleans. Since then, I’ve been struck by how the lyrics touch on characters in Poison Princess and dovetail with more than one specific incident. I can imagine this song playing in the background as Jack and Evie drive away from Haven that one fateful day. What challenges have you encountered while writing the Arcana Chronicles? Writing in first person was new. Prior to this series, I had penned seventeen paranormal and historical romances, which were all in third person. Fortunately, the jump to first person went relatively well. What is the one question you wish people would ask you and how would you answer it? Hmmm. If anyone asked me which card I’d most like to be in this game (of the cards revealed in the series so far), I’d probably say The World. Her abilities are as wild as they are powerful! ABSOLUTELY LOVE the first two books!! They are amazing. How long do we have to wait for the next book? Everyone I’ve told about the books has truly loved them too, thank you. Me too! They are so deliciously addictive. It looks like book #3 is scheduled to come out Fall 2014 according to her FB page.